For those who celebrated (responsibly), I hope you enjoyed Cinco de Mayo and/or Free Comic Book Day. What Hansen system seems like, not actual image! I know I said this last week, but I AM almost done with the first draft of my Companion Dragon novella. I just want to finish going over the last few pages myself. Then I have to wait for my friendly neighborhood beta-proofreader to give her okay to send her the manuscript, because she's having computer problems right now. Speaking of Nancy Hansen, her latest novel JEZEBEL JOHNSTON: MOURNING STAR is now available from Airship 27 in both print and Kindle editions! 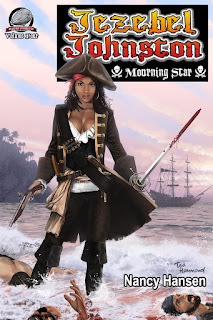 The fourth exciting adventure of the female pirate has interior illustrations by Rob Davis and a cover by Ted Hammond. 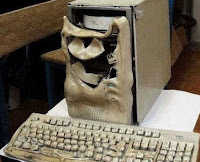 I know Nancy was working on the fifth volume when her computer went kablooie, so Jez fans take heart. Speaking of which, I will be getting back to HUGH MONN, PRIVATE DETECTIVE, BOOK 3: FEMME FATALE this week and once both it and the dragon are finished...?? ?